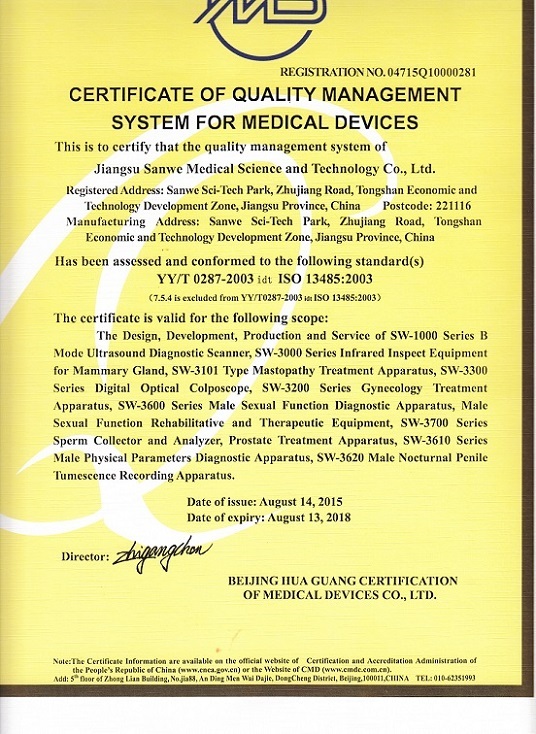 Company Overview - Jiangsu Sanwe Medical Science And Technology Co., Ltd.
11YRSJiangsu Sanwe Medical Science And Technology Co., Ltd.
Jiangsu Sanwe Medical Science and Technology Co.,Ltd. is the National High-tech Enterprise, National Torch Plan Project Unit, the UN Procurement Qualified Supplier Enterprise,Jiangsu Private Science and Technology Enterprise, Jiangsu Double Software Enterprise, Jiangsu Famous Brand Enterprise and Jiangsu High Credit Enterprise. 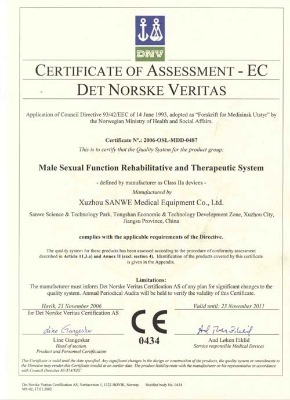 Also the only one marked with CE certificate among male function rehabilitation products manufacturers. 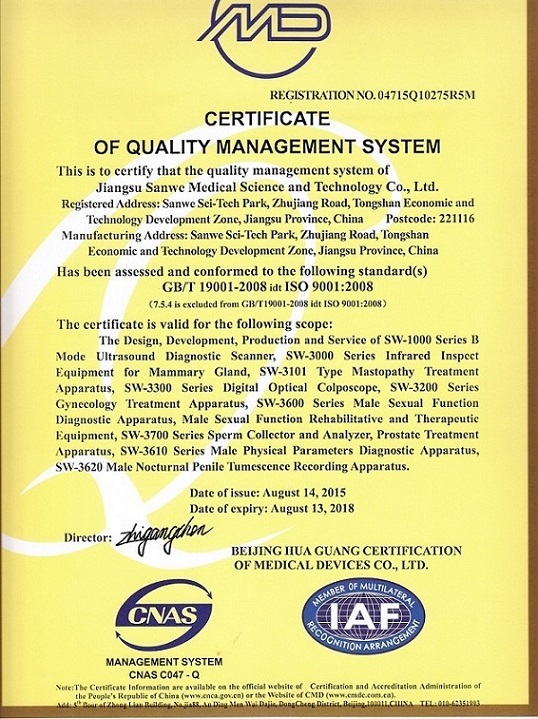 The filed covers Andrology, Gynecology, Ultrasound and Medical Information Data Processing System etc, totally four categories and 20 kinds of products.The company has more than 10 kinds of high-tech products,16 kinds of national invention patents and 21 kinds of utility model patents. Sanwe Medical has become the most powerful and the most influential reproductive health products supplier,and successfully entered the international market whose products are exported to many countries and regions such as the Middle East, Europe and America,etc. In July 2012,Sanwe made the cooperation with MAPTAG, relying on the leading international scientific and technological advantages of Maptag, Sanwe Tag Biological Technology(Beijing)Co.,Ltd was established in the Chinese capital Beijing Tsinghua Science Park,committed to enhance the operations of the MAN+ the male health management project. At the same time set up a wholly-owned subsidiary(Suzhou) for the high-end domestic market and the international market . To build the perfect modern management, marketing and market service system, provide good after-sales service for the customer,is the Eternal promise of Sanwe. Now, Sanwe has been a well-known reproductive health products R&D manufacturer. It has been a leader in the same industry with dozens of invention patents and nearly 100 patents for utility models.